America’s war against Vietnam ended in 1975. Scars of the 13-year war remain even today. They were inflicted by a herbicide produced in the factories of one of the agro-biggies of our times: Monsanto. Agent Orange, the herbicide, affected more than three million civilians and servicemen. takes the viewer to the sordid manipulation by the agro-biggie that has helped it avoid culpability. William Sanjour, who led the Toxic Waste Division of the US Environmental Protection Agency, tells us: “Thousands of (war) veterans were disallowed benefits because Monsanto studies showed that the main ingredient in Agent Orange was not a human carcinogen.” But his epa colleague discovered that Monsanto had falsified study data. 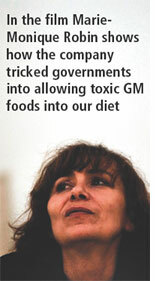 In the film, director Marie-Monique Robin shows how the company systematically tricked governments into allowing dangerous genetically modified (GM) foods into our diet. The film shows how people on Monsanto’s payroll infiltrated the government and influenced US Food And Drug Administration (fda) into declaring that GM food is “generally recognized as safe”. Former fda biotech coordinator James Marya-nski admits on camera that the decision “was a political one”, not scientific. The infiltration reached its height during Clinton’s tenure when anyone holding an anti- gmo position was likely to be denounced as anti-science. Dan Glickman, then secretary of agriculture, was among those at the receiving end. “When I opened my mouth in the Clinton administration, I got slapped around a little bit,” he remarks in the film. 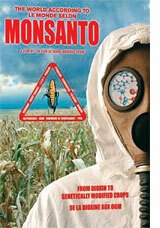 The World According to Monsanto is now on Youtube. This comes at a time when the Indian government has not closed its option on GM food.